Discussion in 'Xbox 360 Guides' started by InsaneNutter, Aug 19, 2013. Quick Note: If you are a Jtag user upgrading from XBR 8955 you would be best off upgrading to FreeBoot 9199 first, people have had a lot more success updating to 9199 first, then going to the latest 16 as covered in this tutorial. If you are on 8955 you can follow this tutorial here to update to 9199. If you are on 9199 or higher just proceed with this tutorial. 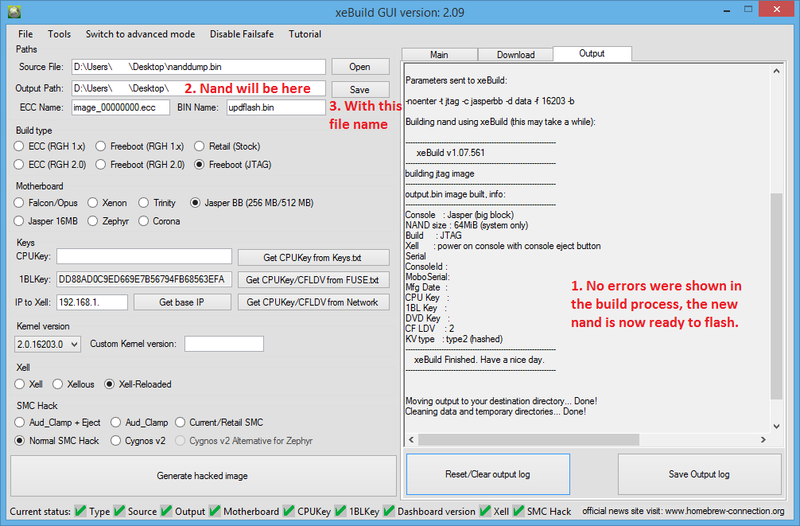 We are going to take a copy of your consoles existing nand, xeBuild will now extract your current smc.bin, kv.bin and smc_config.bin straight from this backed up nand, it should also mirror any existing block remappings from the to the new nand you are building. 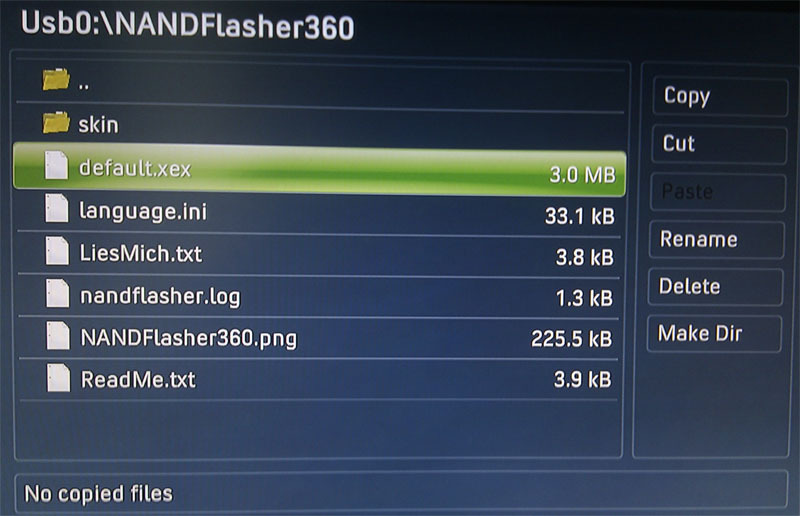 Download Nand Flasher 360 if you have not already, and unzip this to your USB drive. Now copy the updflash.bin you just built to the USB drive. 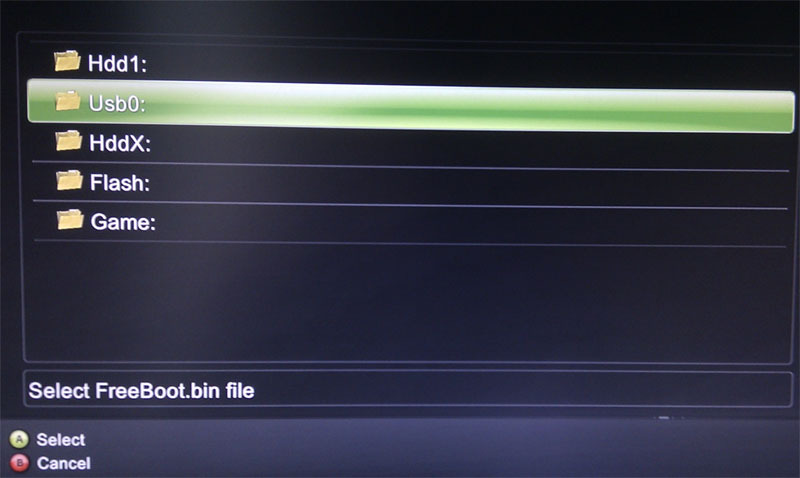 As can be seen below the updflash.bin should be found on the USB drive and flashed to the consoles nand. After the update has finished Unplug the power brick and leave it disconnected for two minutes (or turn the 360 off at the plug). 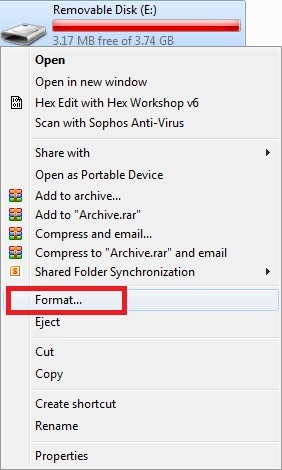 Simply extract the $SystemUpdate a Fat32 formatted USB drive, you will have to rename the update folder to $$ystemUpdate if you have installed DashLaunch. DashLaunch is installed by default if you follow this tutorial to the letter. ATnix95, Isbah Ahmed, ZimHB123 and 4 others like this. 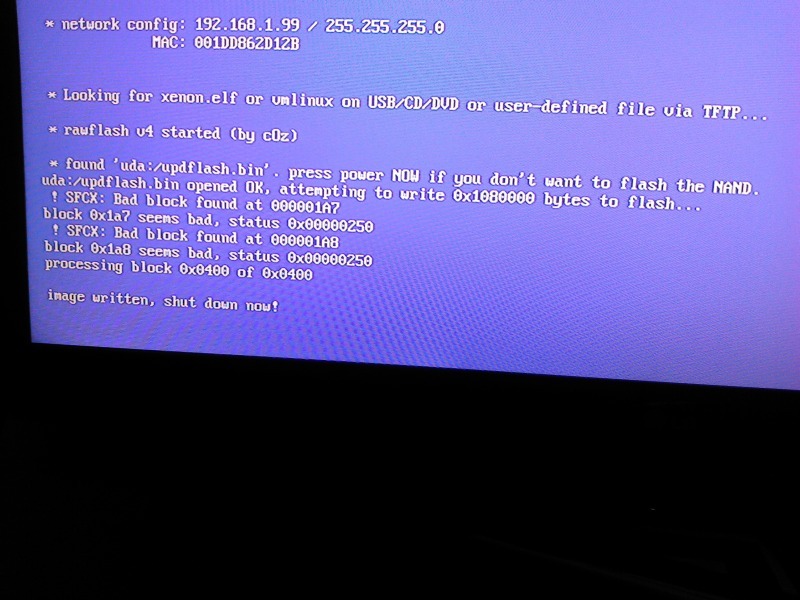 I have tried the steps you have described here on old Xbox 360 Falcon (v3.0), NAND: 16MB, with a Freeboot (RGH 1.x). Everything went just fine, there weren't any errors in the xeBuild log file as well as in NAND Flasher 360 after writing the new NAND/Flash. After writing has finished I have pressed the "Shutdown" button in NAND Flasher 360, and right after it has powered down, I have unplugged the power cord from the back of my xbox. I have plugged it back in after around 4-5 minutes. Now when I am starting xbox, it goes to the spinning logo, and freezes after the animation is finished, never going past this point. Do you have any idea what might be the cause of it, and more importantly, how to fix it? Either to flash it back to the previous version (the one backed up) or to move past this screen. I am really stuck here, and I am pretty new to the whole RGH thing in xbox, so I would appreciate any help. Using your web browser on your PC go to http://192.168.1.99 or what ever your consoles ip address is, you should be able to download your "raw flash" from the console. Do that and use it as your source nand to build a new image, after that has done flash it to the console as before and hopefully that should stop it from freezing. Thanks for your quick response, I will try this today after work. Just one more question, how am I supposed to run NAND Flasher 360 with the fixed image, if my console doesn't go to dashboard? Previously I have ran it using XeXMenu, which I booted form the CD, but now it is not possible because I can't get to the dashboard to run the CD. 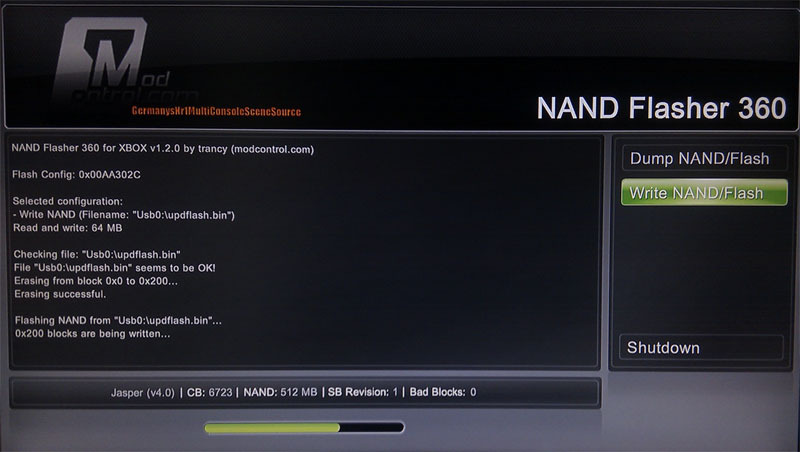 So my question is, is it possible to run NAND Flasher 360 using Xell menu somehow? Simply put the updflash.bin on the root of the USB memory stick, power the console on with the eject button to boot Xell and it should find the updated nand and flash it. It worked like a charm, thanks very much for your help! Great tutorial. Everything worked, except now I can't get online to update Kinect. Manually doesn't work either. It says there is a problem with my network but I have a un-modded xbox hooked up just fine. I even swapped network cables and tried wireless (Its a slim Jtag) but still nothing. any suggestions on what the issue could be there? It was working fine prior to this update. You cant go online with a Jtag / RGH console, have you looked at the bottom of the tutorial on how to restore the avatars using a USB memory stick? 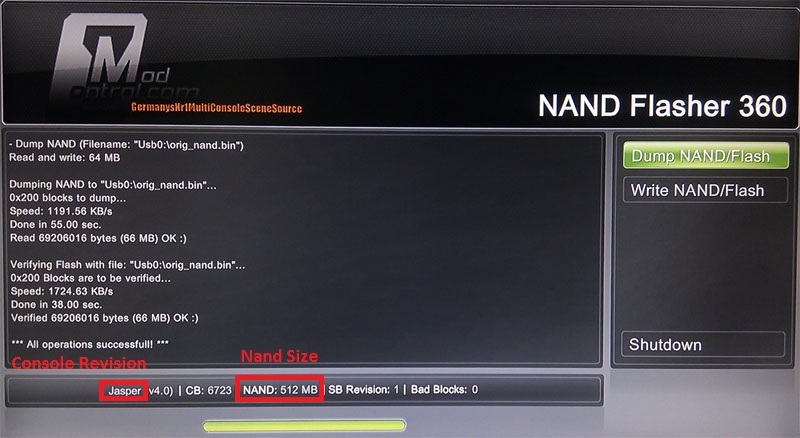 Is there an option to build the nand so that 'Liveblock' is enabled all the time from a nand level (hardware) when the RGH nand is enabled (for dual nand 360's). So for instance if the 360 was in RGH mode without a USB device connected with FSD and dashlaunch on, then the console still wouldnt be able to connection to the xbox servers. Just a safety measure really??? 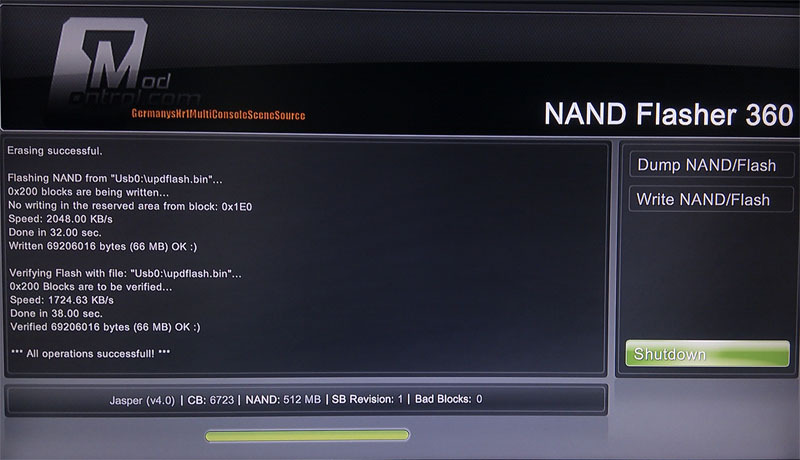 I can remember reflashing the RGH nand back the other year and i can remember an option to set 'Liveblock' from the flash program, but that was with the J-runner flashing program!? If you include your launch.ini with your custom settings (e.g. live block enabled) in the root of the XeBuild folder when building the nand it should include that within the newly built image. 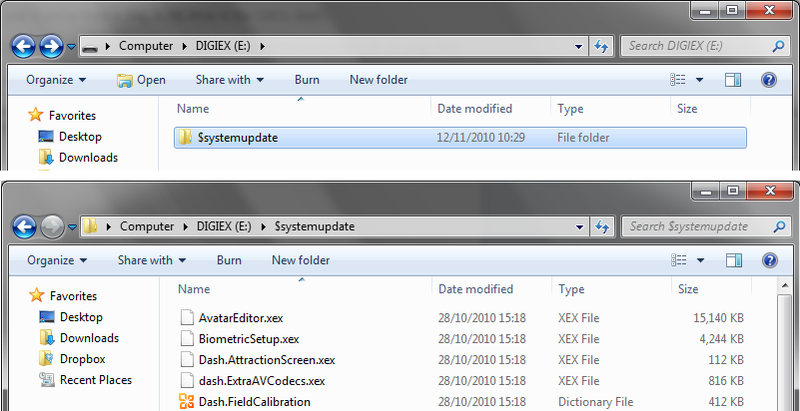 I've problem with my JTAG update with severall xebuilt apps. also tried Jrunner ..the same problem. 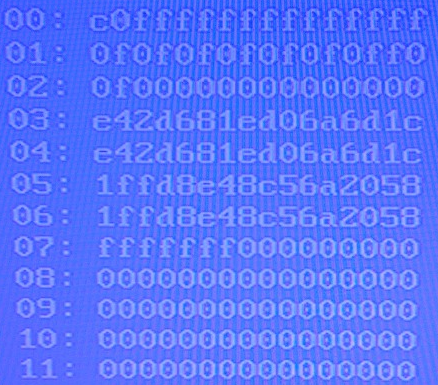 Dump the nand as instructed here: https://digiex.net/guides-reviews/c...board-kernel-16203-xebuild-gui.html#post68858 and see if you have any more luck. I tried it, i choise RAW FLASH, it dloaded succesfully 2e time. its 528 mb. afther a while i reboot the xbox. And E79 error apears...damn! What happens when you power the console on with the eject button? can you still use Xell? 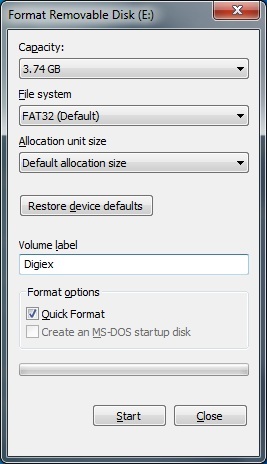 Dump the nand as instructed here: https://digiex.net/guides-reviews/c...board-kernel-16203-xebuild-gui.html#post68858 and build a new nand following this tutorial. Hopefully that should get the console working again. 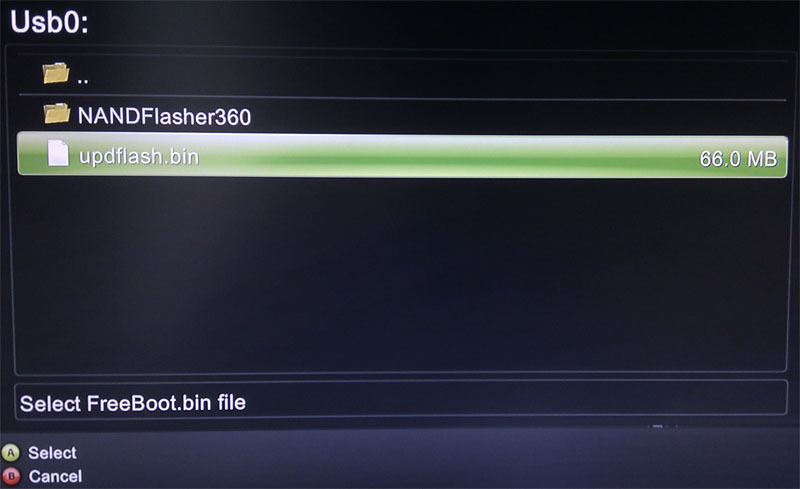 i already have a RAW bin, but how to put it back on the xbox360 ?